Vikat Ganesh – How to do Puja of Vikat Ganesh? Puja of Vikat Ganesh is performed to overcome physical, financial and mental distress. This is the sixth form of Ganesha among 8 avatars and this form appeared to defeat demon Kamasura. Below is a simple explanation of how to do puja of Vikat Ganesh along with mantra and other puja vidhi. Relief to all kinds of bodily ailments. Childless couple will be blessed with children. Solution to money related problems. Relief from tension and stress in life. When to perform the puja? Krishna Paksha Chaturthi (Sankashti Chaturthi) – the fourth day after full moon. It is most auspicious to perform the puja during Chaitra Krishna Paksha Chaturthi. 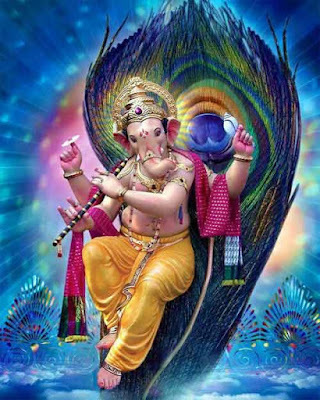 How to Perform Puja of Vikat Ganesh? The puja should be offered to the picture of Ganesha riding a peacock. The image of Ganesha should be installed in the north side of the house. The person performing puja should wear safron color dress. Four wick lamp should be lit using cow ghee. Dhoop or agarbhati should be of sandalwood fragrance. Chant Vikat Ganesh Mantra 108 times. Share the fruit and modak after puja with family members and friends. To achieve peace and prosperity in life offer Supari rolled on Chandan (sandalwood paste) to Vikata Ganapati.